Despite the variety of purebreds to choose from, some equestrians still find their needs not met. Over the years, many breeders have developed distinctive crossbred horses to suit a particular niche or cultivate specific qualities from each contributing breed. When the cross works as intended, the result is “the best of both worlds” and leads to a demand for more. Sometimes a particular cross is eventually recognized as a new, separate breed. The following five crossbreeds have established a name and have become known for their special blended characteristics. 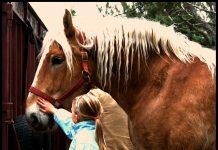 With approximately 300 recognized purebred horse and pony breeds in the world today, it seems there should be something for everyone. 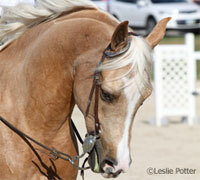 Yet, despite this wide array, it’s not unusual for breeders to cross two purebred horses to come up with a crossbreed. Sometimes a crossbreed eventually becomes a distinct breed in its own right. “What makes a breed is when you can pass on its traits from generation to generation,” explains Linda Konichek, who has been a Morab breeder for 25 years. Since the outcomes of haphazard breedings can result in a horse with a poor combination of traits, it’s safer to stick with an established crossbreed. 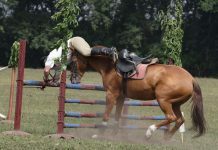 Cynthia McFarland is a freelance writer and horse owner based in Ocala, Fla. Her latest book is The Foaling Primer. Next articleIs your horse getting sufficient vitamins and minerals?